Here’s a quick update for those who want more Captain America. 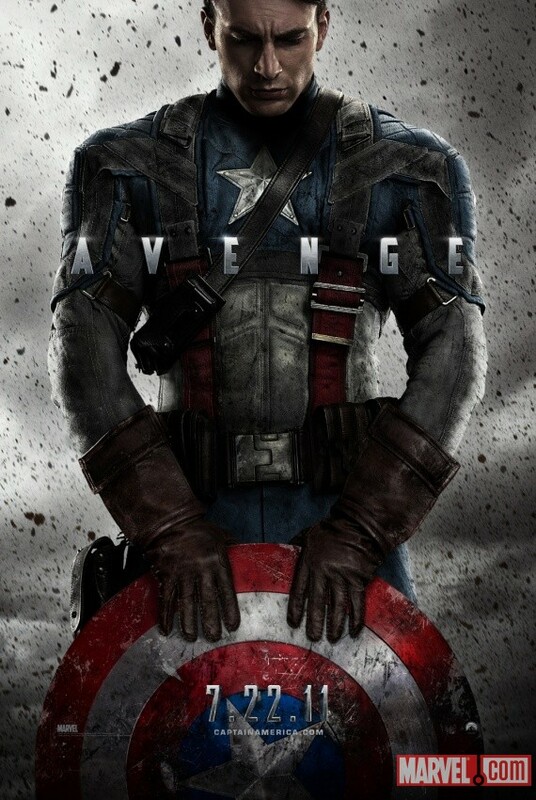 Just released today was the newest movie poster (and first hi-res image) of Captain America’s full outfit. It is a stark and powerful image, and bodes well for the movie. I09.com also has some additional images from the movie, which you can check out here. Also, it was revealed that the first full-length preview will premiere during the superbowl, so be sure to stay tuned!